Randy Vincent began his career in Florida and moved to the San Francisco Area in 1980. Since then, he has divided his time between performing and teaching. Among the many musicians with whom he has performed and recorded are: Joe Henderson, Dizzy Gillespie, Bobby Hutcherson, Jim Rothermel, Mel Martin, Benny Barth, Mel Graves, Bennett Friedman, Larry Baskett, Peter Welker, Chris Amberger, George Marsh, Smith Dobson, Bill Watrous, George Cables, Tony Dumas, Akira Tana, Billy Childs, Bob Sheppard, Steve Smith, Harold Jones, Bob Badgley, Ernie Watts, Warren Gale, Herb Pomeroy, Sylvia Cuenca, Jared Gold, Dan Wilensky, the Bay Area Jazz Composers’ Orchestra, the New Oakland Jazz Orchestra, Dave Eshelman Jazz Garden Big Band and The Turtle Island String Quartet. He plays on a regular basis with many local musicians throughout the San Francisco Bay Area. He has performed at numerous jazz festivals such as Monterey Jazz Festival, Mount Hood Festival, San Francisco Jazz Festival, Telluride Colorado Jazz Festival, Healdsburg Jazz Festival, Space Coast Jazz Festival, North Coast Jazz Festival, Fairfax Jazz Festival, Benicia Jazz Festival, San Jose Jazz Festival, Sacramento Jazz Festival, Cotati Jazz Festival, Jazz on the (Russian) River, Harvest Festival, San Miguel de Allende Jazz Festival in Mexico, and at the Hollywood Bowl for Dizzy Gillespie’s 75th birthday celebration. 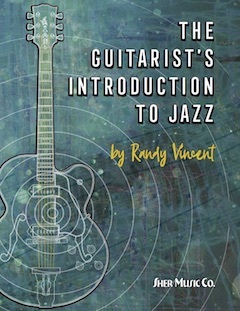 Randy has taught jazz guitar at Sonoma State University (in Sonoma County, California) since 1981 and has conducted clinics throughout the U.S. While on tour with Joe Henderson, he taught at Taller de Musicos in Madrid, Spain. Randy’s students include Julian Lage, the young prodigy who appeared on the 2000 Grammy Awards show. Julian is currently touring worldwide with the Gary Burton Quartet, and is featured with Gary on his most recent two recordings. Randy has also taught Dave McNab, who has worked with Shelby Lynne and has appeared on The Tonight Show with Jay Leno and Late Night with David Letterman; and Liberty Ellman, who works on a regular basis with Greg Osby and Henry Threadgill.